The Jaguares, a team that flattered to deceive in their first two years of Super Rugby, finally produced results closer to their potential in 2018. In their debut year, 2016, the Jaguares won just 4 games in their 15 starts, banking 22 log points. This put them ahead of the likes of the Kings, the Sunwolves, the Reds, the Force, and the Cheetahs, although they topped the Cheetahs by just one bonus point. In 2017 more was expected, after all they had the experience of their first year behind them, and they were still the Argentinean national team in all but name. Once again, they struggled, although winning 7 of their 15 starts game them 33 points as they scored 49 tries and leaked 45, for a mid-table placing, finishing above the Cheetahs, the Bulls, the Sunwolves, the Kings and the entire Australian conference bar the Brumbies, who managed 1 point more as a result of bonus points, despite winning less games than the South Americans. 2018 was the year the Jaguares finally started to show their international potential as they won 9 of their 16 starts and saw them finish 7thon the overall log and qualify for their first quarterfinal berth ever. Sadly, the problems that the team faced when wearing their Puma jerseys rather than their Jaguares strip resulted in the firing of national coach Daniel Hourcade, and the elevation of Jaguares Head coach, Mario Ledesma into the national coaching job. Just as his coaching efforts started to bear fruit, the Jaguares lose him and have to adjust to a new coach. This may impact on their season. A bigger impact will, however, be the departure of their first and second choice flyhalves. Nicolas Sanchez to Stade Francais, and Juan Martin Hernandez, who has retired from the game. 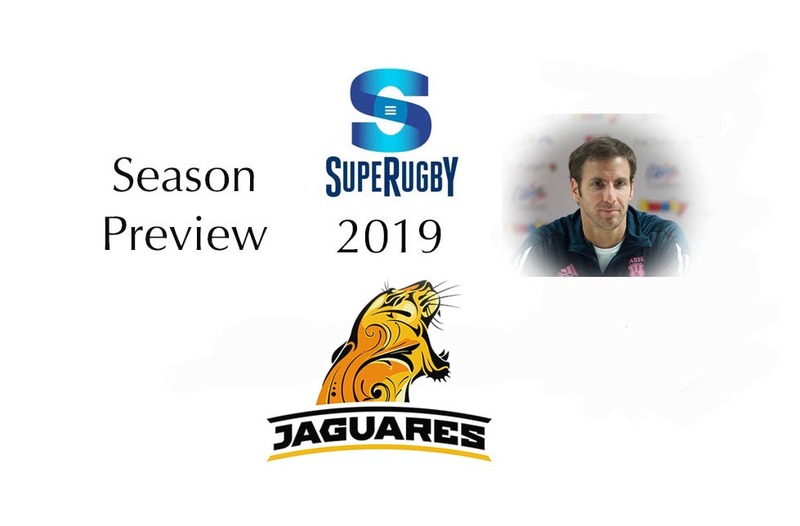 This leaves the Jaguares with a massive hole to fill in 2019, and it might be the season-breaker for them. Departing the Jaguares are some big names, none more so than the three old heads, Leonardo Senatore, Juan Martin Hernandez, and Nicolas Sanchez. Whilst this kind of turnover might be a regular feature in South Africa, New Zealand or Australia, the Jaguares have a much compound problem. Players leaving the Jaguares are almost invariably lost to Super Rugby and often to the Argentine too. The South Americans do not have the depth of resources and a conveyor belt of young talent coming through their schools and club systems to easily replace those who leave. The point I make above about the lack of a feeder system for the Jaguares is illustrated by their list of new signings for 2019. Ten new signings, and not one of them a recognised player with experience elsewhere in the rugby playing world. There is a lot of youth joining the squad, and it will be interesting to see what new coach, Gonzalo Quesada, can do with them. The Jaguares remain something of an enigma. Discipline was a serious problem in their first two seasons of Super Rugby as they coughed up penalty after penalty and more yellow cards than was worth counting. On a number of occasions they were playing with as few as 12 men on the field and 3 sitting in the sin bin. One of Mario Ledesma’s immediate focus points was the sort out the discipline problems, and it appeared that he was succeeding in 2018. However, he is no longer there, and we will have to wait and see whether the Jaguares revert to their old ways or continue on the path shown by Ledesma. The playing staff are a little thin on game breakers after the departure of Sanchez and Hernandez. There is some talk that their sensational fullback, 24-year-old Emiliano Boffelli might be asked to step into the 10 jersey. He is an incisive runner, extremely quick off the mark, with an educated boot. His long range kicking is exceptional. Equally effective at fullback, centre, or on the wing, perhaps the flyhalf berth will be his? The other contenders for the 10 jersey are Joaquin Diaz Bonilla, Santiago Gonzalez Iglesias and Domingo Miotti. Santiago Gonzalez Iglesias is the most experienced of the trio with 14 Jaguares caps already under his belt. 2019 will be interesting, especially as we watch to see how the team copes with a new coach and without some iconic players. The Jaguares are still a bit of a mystery team. They promise much and should consistently be right at the top of the log, but often their Latin temperament gets the better of them and they go off on a side-track. I fear this year will be more of the same. Some very good wins at home, a couple of surprises on the road, but mid-table at best.